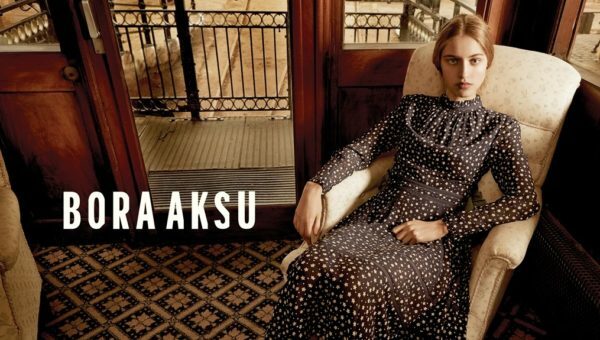 If you ask us to describe Bora Aksu, we’ll say that the brand’s a little soft everywhere. Now, don’t get us wrong. What we really meant to say is that the house derives inspiration from different fashion genres, mashes them up together and produce collections featuring different detailing found in goth, rock and kawaii fashion etc. These often go unnoticed by an average eye, and do require knowledge to understand the brand’s unique mash of references. 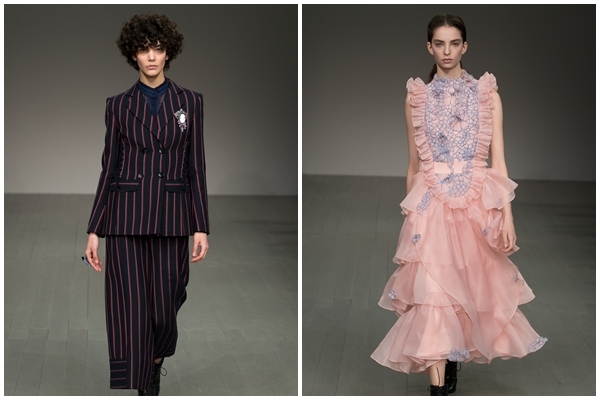 Bora Aksu’s Autumn/Winter collection 2018 for instance, is of no different. Going against the normativity of fashion narration, the brand took on the ongoing, and very subjective topic of gender. It was the tale of Margaret Ann Bulkley that hits home to the brand. A young and very successful surgeon that went against the male-dominated and female-prejudiced medical industry at the time; known and misunderstood as James Berry, and only to be discovered as a female after her death. Bora Aksu delivered a range of menswear-inspired silhouettes to bring forward the glimpse of the protagonist’s stereotypical everyday ensembles. Pinstripe culottes, matching blazers and fitting jumpsuits were prominent, which juxtaposes with the otherwise feminine offering of lace, and embroidered floral prints that appeared in the later part of the runway presentation (and a representation of Margaret’s lesser known double life). It’s as simplistic as presented, but the additional components of partial corsets, oversized schoolboy colonel ties and mini-skirts with matching blazers were our ‘to-look-out-for’. The unexpected styling option of a renaissance hairdo was also a fun choice. It’s a delicate path to thread. The subtleness and undefined aesthetic might not have placed or categorised Bora Aksu in a narrowed genre of fashion, the experimental mixtures have won the house a big one in terms of its growing identity, followers and their point of view in the industry.